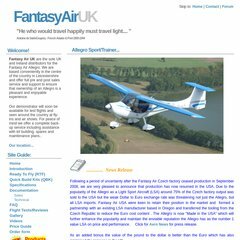 Topics: Fantasyairuk, Introduction, Ready To Fly (rtf), and Quick Build Kits (qbk). 1 1 Internet Ag Baden-wurttemberg is the location of the Apache server. There are 2 Nameservers, ns45.1and1.co.uk, and ns46.1and1.co.uk. Fantasyair.co.uk's IP address is 82.165.50.118. PING www. (82.165.50.118) 56(84) bytes of data.